Back at CES in January I saw some early Sony ultrabook prototypes but back then there were no details of a final shipping date. 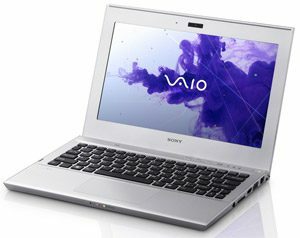 Today, Sony officially announced the Vaio T11 and T13 lines, their first ever ultrabooks, that will be available in stores later this month. There are a couple of catches about these two machines though: they will be decently affordable, starting at about 699 euros, but their are built on Intel Sandy Bridge platforms, thus are on par with the nowadays available 1st generation ultrabooks. An odd decision given that Asus, Acer, Lenovo and all the other big names should have their new 2012 models in stores in a month or two. 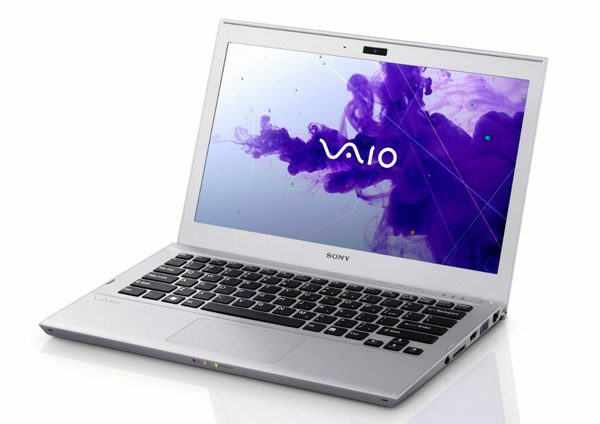 UPDATE: I’ve reviewed the Sony Vaio T13 in the meantime and you should also see this list of the best cheap ultrabooks available right now. The T11 will feature an 11.6 inch display, while the T13 is slightly bigger, with a 13.3 inch screen, both with 1366 x 768 px resolution, so nothing fancy here. No word whether the screens are glossy or matte, but I’m keeping my fingers crossed for the latter. Besides those, both come with aluminum and magnesium bodies, ergonomic keyboards (without back-lightning though) and plenty of ports, including VGA, HDMI, Ethernet and USB 2.0/3.o slots. We’ll also get Wireless N and Bluetooth 4.0, but there are no details of integrated 3G modems, not even as an extra option. In terms of hardware specs, we’ll be able to choose between Sandy Bridge Core i3/i5 processors, 4 GB of RAM and various types of storage options, from regular HDDs, to hybrid options with HDDs/flash and standard SSDs. The bigger 13.3 inch Sony T13 ultrabook is going to weigh about 1.6 kilos (3.5 pounds) and measure 226 x 17.8 x 323 mm , which make it a bit bulky and heavy. It’s in fact heavier than most 13.3 inch ultrabooks, even the HP Folio 13. However, Sony claims up to 9 hours of battery life out of the Core i5/SSD storage option, which means there’s probably a big battery inside, like on the Folio. The smaller unit weighs 1.4 kilos (3.1 pounds) and measures 297 x 17,8 x 214,5 mm, so it’s not way more compact than its bigger sibling. 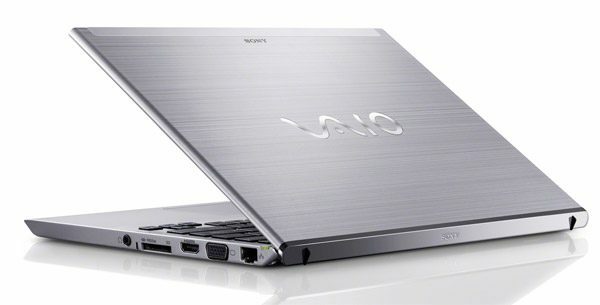 And when compared to the sleek Asus Zenbook UX21 or the Samsung Series 9, it is considerably more massive and heavier. In fact, as the picture on the left shows, the T11 has a thick bezel around the screen, which just proves it’s only a slightly more compact version of the T13, and not a true 11.6 incher. the T13 with a core i5 processor and 128 GB SSD storage will go for 899 euros. 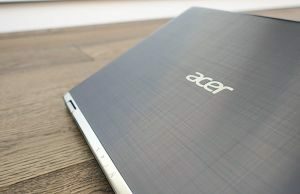 As a comparison, the base-version of the Acer Aspire S3 goes for about 700 euros these days in Europe, which means that the Sony T11 should sell in the US for about $800, while the T13 should start at around $900. In the end, these are not the Sony ultrabooks I was hoping for, but I’m pretty sure they are just the first of many to come. The next months should tell if I was right or wrong, till then though, what do you guys think about the T11 and T13 Sony ultrabooks launched today? Many people (including me) are complaining about the fan noise. Sony’s ultrabook T series (T13) makes too much fan noise even with moderate load. You may want to google “T13 fan noise” before purchasing this.